A bright light dimmed in the astrological realm with the loss of Jan Spiller, who passed on to her next soul assignment in July 2016. The world has lost a compassionate generous being who made helping people a top priority in her work and life. Luckily her spirit and ability to offer practical astrological guidance is still available to us in her many books and through her website. November 2017 marked the 20th anniversary of Jan’s best-seller, Astrology for the Soul, one of the most accessible astrology books ever written. For millions of readers, this life-changing book has been a powerful tool for self-awareness that has helped them to find their unique path to success. Jan felt Astrology for the Soul was her defining work, once saying that she believed she’d incarnated to write it. While that may be true, Jan dedicated herself to serving others with her spiritual and intuitive gifts in many ways. Though she has a Leo Sun, Jan’s chart contains a powerful Virgo stellium in her 12th house (Mars, Chiron, Mercury, and Jupiter.) It’s clear to see how she was expressing this area of her birth chart throughout her career. As a Virgo rising, Jan’s work ethic made a lasting impression on her colleagues and friends. “To say she was hard-working is putting it mildly,” said Judith Horton, who edited all of Jan’s books and was a friend for over 40 years. During the last four decades, you’d be hard pressed to find a communication avenue that Jan didn’t pursue to get her teachings out to the public. Jan shared her wisdom through radio shows, TV appearances, books that have been translated into multiple languages, and public speaking engagements (see the sidebar for a complete listing of Jan’s published books and career highlights). Jan’s column, “The Astrological Edge” first ran in Dell Horoscope Magazine in the autumn of 1993, and she wrote if for over two decades before her passing. 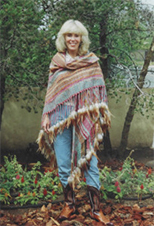 Judith Horton remembers the early roots of the “Astrological Edge.” Before it was a regular Dell Horoscope column, Jan wrote a column by the same name in the mid-1980s when Judith was the publisher of Holistic Living News, the first new age newspaper in San Diego. “One day a very striking looking and very confident woman walked into my office and said, ‘I’m Jan Spiller and you need to have my astrology column in your newspaper.’” When Judith read some of Jan’s sample columns she could immediately tell that Jan wasn’t a run-of-the-mill astrologer. Judith decided to run the column, and it became a popular feature. Holistic Living News quickly grew from a circulation of 10,000 to over 85,000 copies distributed all over San Diego county, and with that Jan’s readership and popularity increased. “There was a compassion in her view of people. She aimed to see the total picture,” long-time friend Helen Thomas said of the way Jan interacted in her personal and professional life. By her early 20s, Teako said Jan was defining a lifestyle and attitude for herself what would later be associated with the generational nickname, “Flower Children.” Teako saw Jan as a trendsetter who was ahead of her time. “She was in the Haight-Ashbury before people even knew what the Haight-Ashbury was,” he noted. The exact age that Jan began studying astrology is unknown, but many of her family and close friends think it was one of her interests that began in her youth, along with other modalities of divination including I Ching, Tarot, Palmistry, and Numerology. Teako remembers her as a talented reader who threw the I Ching and read palms at a young age. Her spiritual gifts were remarkable to anyone who was fortunate enough to receive a reading. While Jan is best known for her groundbreaking work in astrology as a world-renowned author, her life as a musician and songwriter is less widely recognized. Jan learned piano and guitar as a child growing up in San Diego, California. During her early 20s, Jan spent time in both San Francisco and L.A. playing and performing her original songs in coffeehouses. Although she was a lifelong musician, she began to shift her focus to astrology when her readings became in high demand. It became apparent to Jan that astrology was the work that would allow her to help the most people, and she put her energy towards her astrological career. However, she never stopped writing songs, and eventually had a CD of her music recorded by singer Sheri Zucker, titled Unfolding as it Should, which accompanied her book, Astrology for the Soul. Bob Madeo met Jan in San Diego when they were both playing in a band together in their early 20s. He played guitar and Jan was singing. They quickly began a friendship that would last throughout their lifetime. He remembers Jan as both a songwriter and an astrologer. They lost touch for a few years, but reconnected in the early 1980s when Jan was the manager of KLRO, a radio station in San Diego. It seemed their friendship was meant to be. Just as Jan would continue her lifelong pursuit of music, she kept a close relationship with her former bandmate. Bob remembers Jan working on her first book. After hearing a description of the content, Bob suggested that Jan call the book Spiritual Astrology. “I felt that it was really important to keep the energy away from predictions and more towards the soul and the spirit,” Bob said. 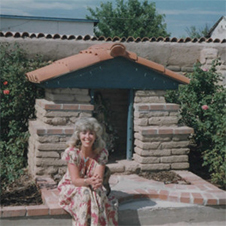 In 1985, Jan self-published the first edition of Spiritual Astrology and completely financed the project on her own, something that was a rarity during that time period. In the next few years, Jan teamed up with co-author Karen McCoy to add two more sections to the book, and revised editions were published by Simon and Schuster in 1988 and 2010, thanks to Jan’s promotional skills. “She pretty much did it herself,” Helen said, describing how Jan represented herself and did all her own negotiations with publishers. Family, friends, and colleagues all noted that Jan was both an excellent astrologer and businesswoman. “There are very few astrologers that make a living at it and make a living at it as she was able to do,” Helen said. 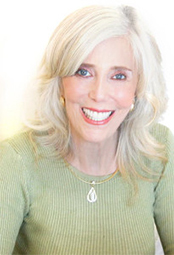 Shortly after Spiritual Astrology came out, Debra Burrell was working at the New York Astrology Center bookstore when she answered the phone to hear Jan’s “bright and cheery” voice on the other end of the line. 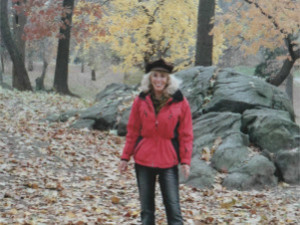 Debra spontaneously invited Jan to come to New York since Spiritual Astrology was a top seller. Little did Debra know that encounter would initiate a long-term friendship. Jan later told Debra that there was something about her voice that “made her sit up and pay attention,” and she took that as a sign to visit New York. When Jan got to New York, Debra says she fell in love with the nightlife and took to the city right away. “This is a hard-working, hard playing city, and that was right up Jan’s alley,” Debra said. After several visits, Jan eventually moved to New York. “She would work during the day writing books and doing astrological consults. But at night she’d get all dressed up and go out.” Jan loved to dance and Regine’s, a high-end nightclub frequented by Andy Warhol and other celebrities, was one of her favorite spots. By this point, Jan was a celebrity in her own right who was known for her best-selling books, television appearances, and articles published in national magazines. “She’s the most successful astrologer since Linda Goodman,” astrologer Emily Trinkaus remembers her co-worker Rick Levine stating about Jan. “Who else has reached so many people?” Emily remarked. Throughout their friendship, Bob often talked astrology with Jan and he remembers conversations with her about the power of the Nodes before Astrology for the Soul was written. “It was such a good idea for her to do a book about working with the Nodes,” he recalled. He and Jan had read Karmic Astrology by Martin Schulman and Bob believes that Schulman’s work was the main inspiration for Astrology for the Soul. “She liked the concepts in Schulman’s book and she expanded on them considerably,” Bob said. “When I opened the chapter about my node I was totally blown away,” astrologer and former co-worker Emily Trinkaus said. “I’d heard about the Nodes but I’d never read about it in a way that really spoke to me.” Emily, as many astrologers who have embraced Astrology for the Soul, has made Jan’s information on the Nodes a big part of their private practice. “It gave me a huge advantage when I started giving personal readings,” Emily noted. “My introduction to Jan was Astrology for the Soul,” said Jan’s long-time friend and co-collaborator Henry Seltzer. In 1998, Henry was selling Time Passages software at the UAC conference in Atlanta. He went to Jan’s talk about Nodal connections in synastry, and at the end of the talk Jan mentioned that she was looking for a programmer to help get the Nodal synastry information on her website. Jan agreed to hire Henry to program her Nodal reports and do other programming for the website. That was their first connection, but they became fast friends not too long after that. Jan also published Henry’s astrology reports on her site, and he noted that she offered him a more generous fee than most other astrology sites offered at the time. Henry’s reports, as well as most of the reports Henry programmed for Jan are still available at janspiller.com, leaving a legacy of wisdom for years to come. 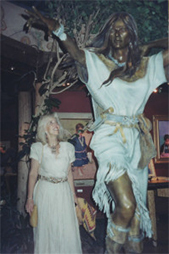 Website bookkeeper Nancy Korchick met Jan in the 1990s as a client. In one of her readings nearly 10 years ago, Nancy mentioned starting a bookkeeping business from home, and Jan hired her shortly thereafter. Jan made the people working with her part of her family. “Most people that work with her, have worked with her for a very long time and they were very special to her,” Nancy noted. Emily Trinkaus started working for Jan in 2008 as an editor and writer. “The thing I appreciated most about her astrology is that it’s so practical and down-to-earth,” Emily said. “She had such a strong commitment to being of service and empowering people.” It was clear that Jan wanted everyone on her team to be successful. “I feel like I learned so much from her about what it takes to be a good boss and a good leader. She was always coming from love,” Emily added. I’m the newest member of the janspiller.com team. When I began writing horoscopes for the site towards the end of 2012, I knew I’d landed my dream job. One of the first things that struck me about Jan was the way she signed her emails—“with love.” Maybe it’s my Capricorn Moon, but I found it startling to see the word love in a business correspondence. I noticed right away that the rest of the team followed suit so I adopted the signature as well. At first it felt unnatural, but soon it became obvious that this sentiment couldn’t be more genuine or appropriate for the janspiller.com team. In Jan’s honor, I frequently continue this tradition with the team, my astrology reading clients, and in my personal life. This is one subtle way that Jan changed my life by showing me the human gift of expressing love freely. To say that Jan Spiller changed my life seems insufficient. But it’s the closest I can come to summing up our relationship. She was much more than an employer. Jan was a mentor, a friend, and a complete inspiration to me. We’d generally be laughing together within a minute of any conversation, even during our last phone call towards the end of her life. I consider this article my “cosmic assignment” from Jan. When turning in my column to Dell Horoscope in May, I suddenly found myself telling editor Ed Kajkowski that I would like to write a tribute article about Jan. For no reason I can think of, I then opened the book cover to Astrology for the Soul and discovered the 20th anniversary of its publishing would be November 2017. I’m so grateful that I was able to experience such a strong connection to Jan, even without her physical presence, through the conversations I had with her loved ones while researching this article. It’s clear that Jan’s love is present with us now through these precious memories and the living legacy of her work. THE ASTROLOGY OF SUCCESS: A guide to illuminate your inborn gifts for achieving career success and life fulfillment, 2013. SPIRITUAL ASTROLOGY: A Path to Divine Awakening / Simon & Schuster, July 1, 2010. COSMIC LOVE: Secrets of the Astrology of Intimacy / Random House/, January 2008 (now in 3 languages). ASTROLOGY FOR WOMEN, Llewellyn Publications, July 1997, a contributing author to the anthology. SPIRITUAL ASTROLOGY: Your Personal Path To Self-Fulfillment, Simon & Schuster, 1988 (now in its 14th. printing, also published in Spanish, German, Japanese and is currently being translated into French). 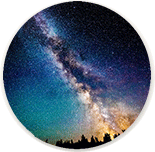 Dell Horoscope, Dell Magazines, largest astrology magazine in the world, regular monthly columnist from 1993 to July 2016. Cosmopolitan, The Bedside Astrologer (yearly insert in Cosmopolitan), 1999. Dell Purse Books: Your 1995 Horoscope, Dell Magazines, Featured Article for the entire series, 1995. New Age Retailer Magazine, trade publication for all the new age bookstores, regular monthly columnist from July 1990 to present. Globe Midnight Horoscope, Globe Communications, regular columnist (magazine is quarterly) from December 1989 to present.